SHORT SALE APPROVED!! TILE THROUGHOUT DOWNSTAIRS AND BATHROOMS, BEDROOMS ARE UPSTAIRS, BONUS ROOM ABOVE POOL, VERY PRIVATE WITH POOL & DETACHED GARAGE/SHOP, SUNSETS FROM BACKYARD DECK. 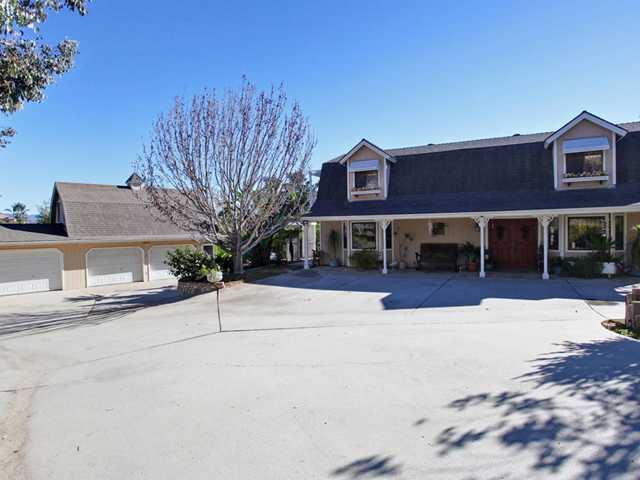 Lovely 2 story Cape Cod custom home with views Southwest overlooking Bella Vista Estates. Very private location in the foothills yet close to town, features include entry level den/ office/library with many built-ins, cozy great room, lots of storage, large deck and pool with waterfall, additional bonus room above 3 car detached garage. The circular driveway allows for plenty of room for parking and there is a dump and hookups for RV. No CC&R's, room for horses and all your toys.